Mozilla launches Voice and Video Connect with the release of Official Firefox 41.0 Release. After significant improvements done in the Firefox Nightly experimental build of version Firefox 41.0, the stable release has a lot to offer. How would it be experiencing a seamless communication – video and voice calls and text messaging being directly built in your browser? 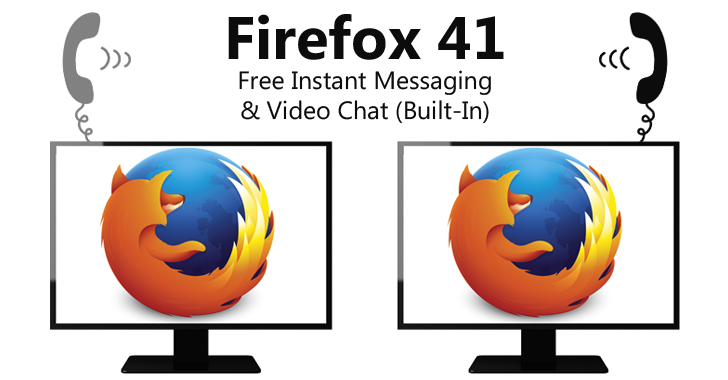 Mozilla has launched the stable release of Firefox 41.0, equipped with project "Firefox Hello" offering free VOIP and instant messaging services through WebRTC (Real Time Communication) channel. Firefox Hello had already arrived last year via Firefox 41.0 Beta release with an aim of improving user’s experience by providing them with free voice and video calling features, irrespective of additional software or hardware support. Both the parties don't need to have same browsers, software or hardware. No sign-up other than a logged-in Firefox account required for the communication. Sending and receiving Instant messaging simultaneously working with video calling in Firefox for Windows, Mac and Linux. Enabling Screen sharing, by the persons in communication. Enabling Contacts integration if both the parties use different browsers. This stable release has not been released for desktops versions alone; it is supporting the Android operating system as well. Allowing the smooth flow of communication by ditching download of any additional plugins. 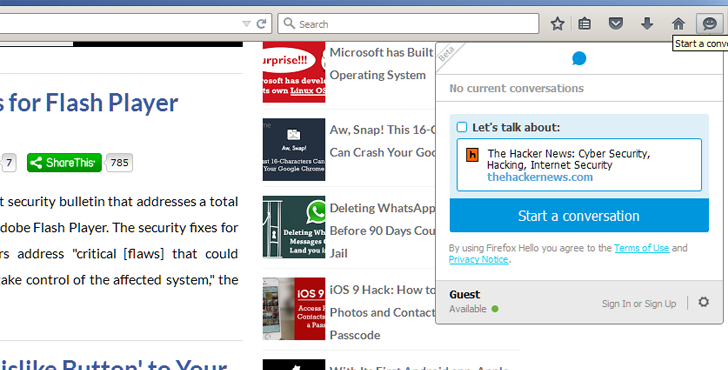 The services included in Firefox Hello can be availed of when your system is running with a browser (Firefox, Chrome, Safari, Edge or Opera) updated with WebRTC support. Along with Firefox Hello, many other notable updates and features come with Firefox 41.0, such as setting up a profile picture for Firefox account and fixing up security issues to name a few. Browser-based security issues cannot be neglected at the same time. As with the launch of any new technology, people with malicious intent will always look the picture from the other side to break in.